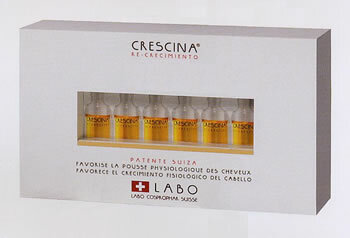 Treatment based on Crescina®. It helps to stimulate the physiological hair growth. Suitable for men with problems of serious thinning. It does not act on hair bulbs that are completely atrophied. Thiomucase Anti-Cellulite Cream 10 x Box (200 + 50 ml.) + 5 Stick 75 ml. René Furterer Triphasic VHT Suero Anticaída Hombre 8 Frascos 5,5 ml.